We offer a wide range of agricultural commodities products. 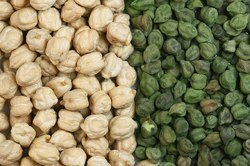 With the support of our experts and sophisticated in-house facilities, we have been able to offer an array of Indian Chickpea. These products are processed using optimum grade peas that are cultivated organically in suitable climatic condition and temperature. Our offered products are widely used for preparing dishes in kitchen of residential and commercial places. Clients can avail these peas from us in safe and hygienic packaging options. 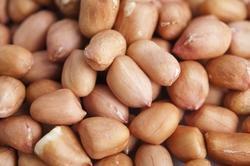 We are offering a premium grade of Peanut/Groundnuts. Offered peanut is widely appreciated by our clients owing to its rich source of carbohydrate. This peanut is well processed using the modern processing technology in synchronization with the set Food industry standards. Furthermore, to provide the superior quality, our experienced quality auditors test this peanut against different quality parameters. With the help of diligent and adept professionals, we have been able to offer our clients a qualitative grade of Sesame Seed. Our entire grade of seeds is available in different sizes packaging options. Offered seeds are processed using the latest technology. Provided seeds are highly demanded among our precious clients owing to their rich source of protein and high nutritional value. Moreover, our clients can avail these seeds at competitive prices. 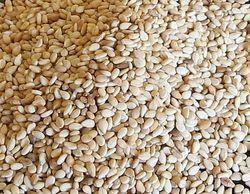 Our company engaged in processing and exporting of natural sesame seeds and hulled sesame seeds to different countries. With the help of diligent and adept professionals, we have been able to offer our clients a qualitative grade of Hulled Sesame Seed. We export our product in Poland, turkey, Ukraine, Singapore, and many of courtiers…Our entire grade of seeds is available in different sizes packaging options. Offered seeds are processed using the latest technology. Provided seeds are highly demanded among our precious clients owing to their rich source of protein and high nutritional value. Moreover, our clients can avail these seeds at competitive prices.